Second Edition 2016, containing 88 pages which have been revised and edited to include many new illustrations. 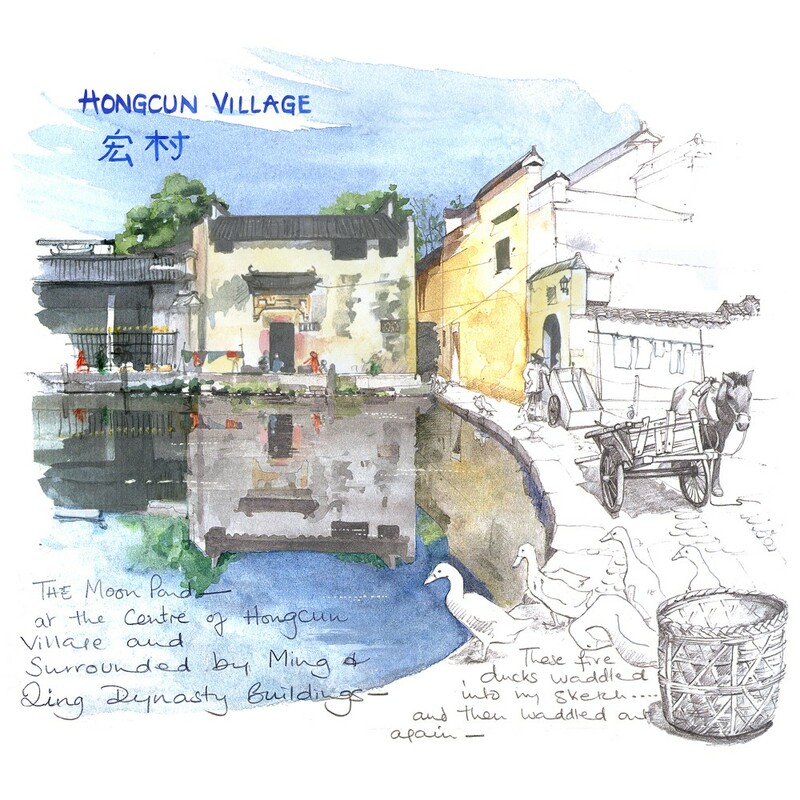 A4 hardback, Landscape book. 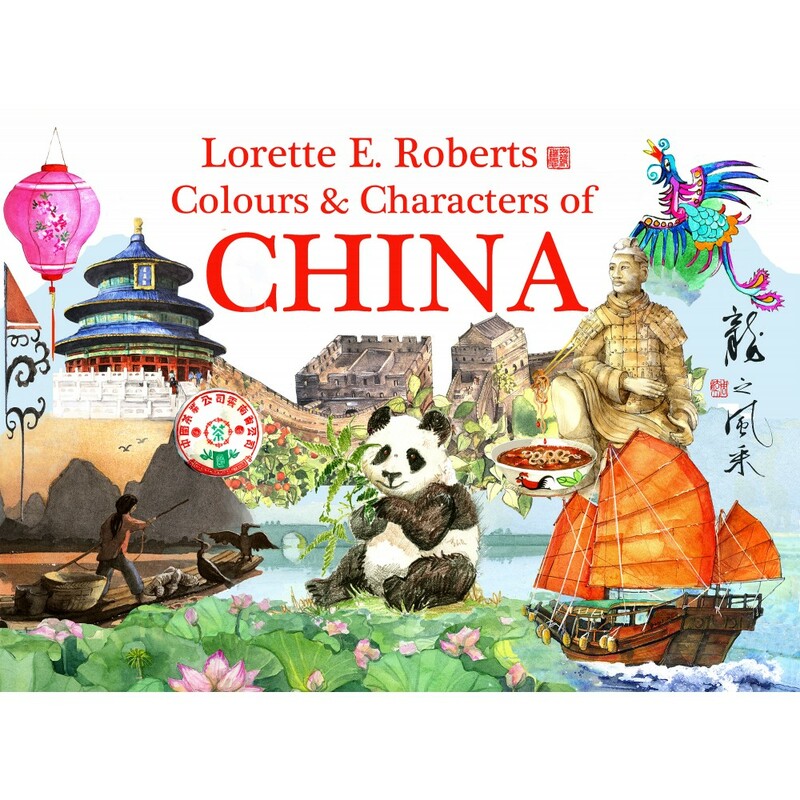 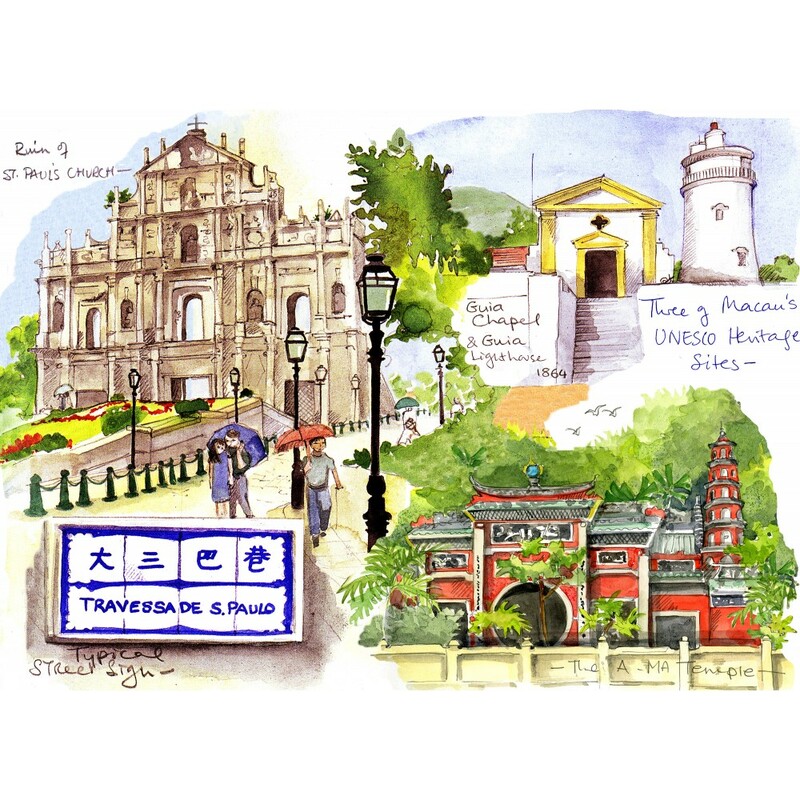 Some black and white but mainly colourful sketches of Chinaʼs people and places, all created by U. K. artist Lorette E. Roberts following her many visits. 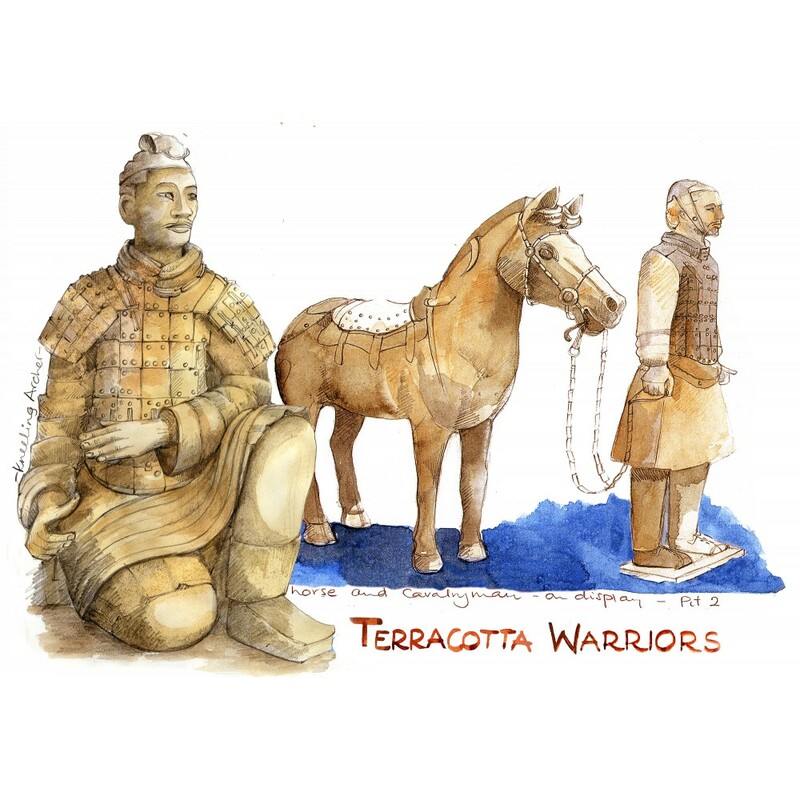 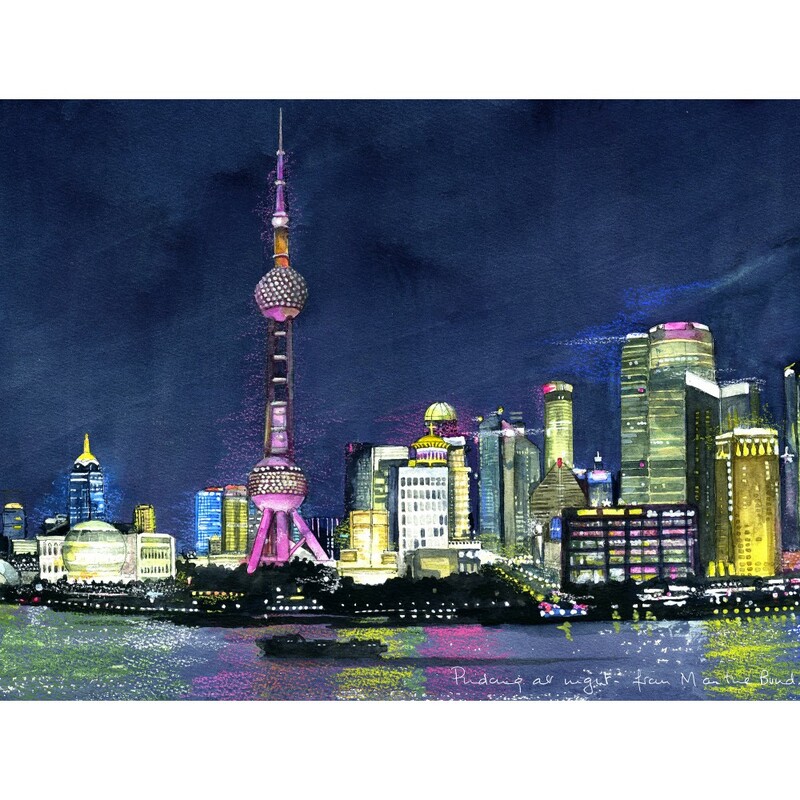 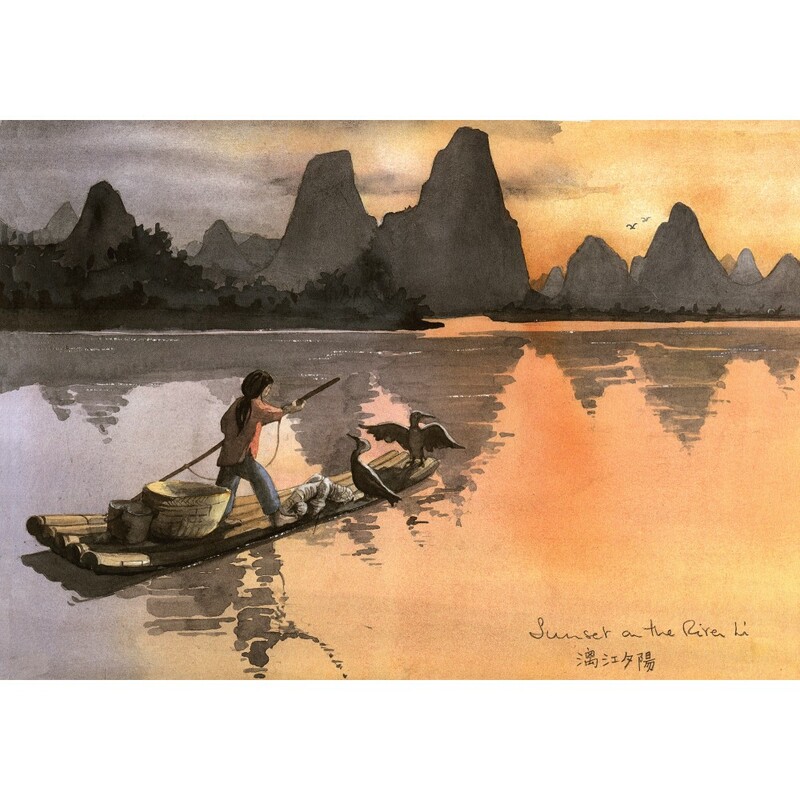 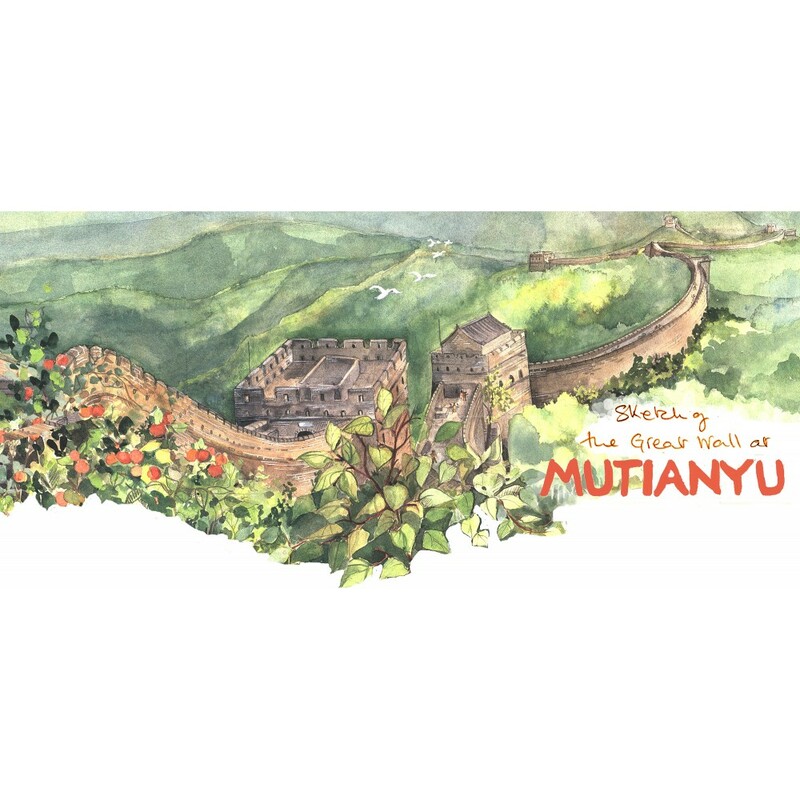 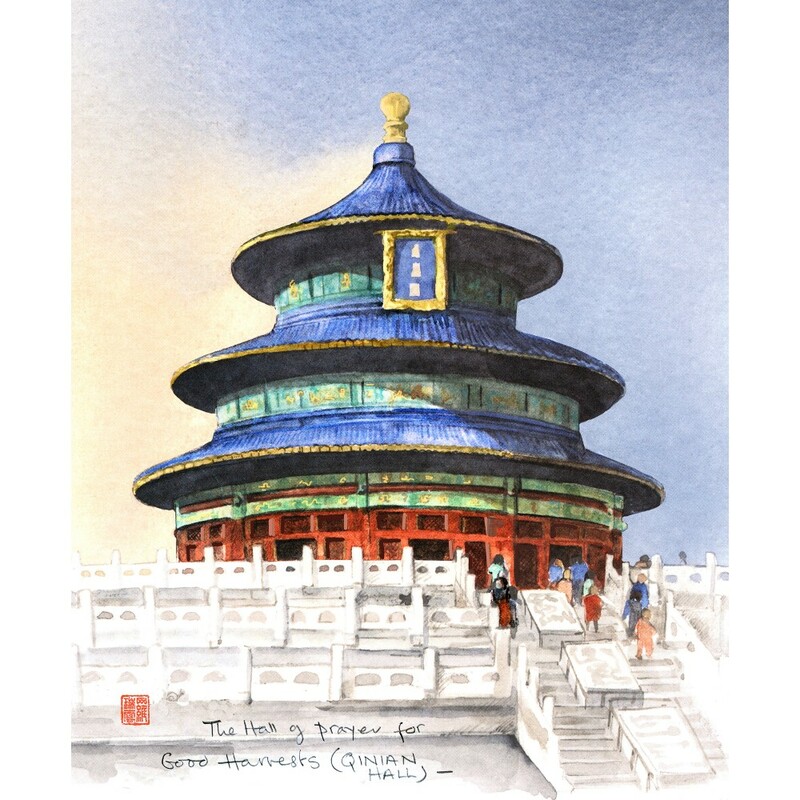 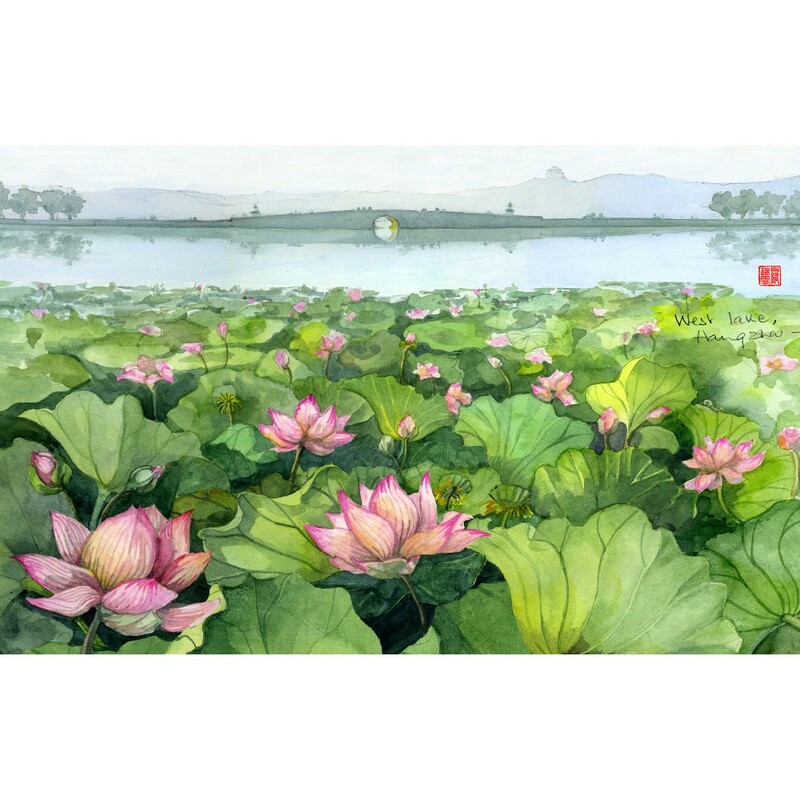 Her watercolour sketches capture many famous sights such as the Terracotta Warriors, the Great Wall and the Forbidden City but also records much of the magic of life, buildings and images of China.